What's The Worst Bumper Sticker You've Ever Seen? 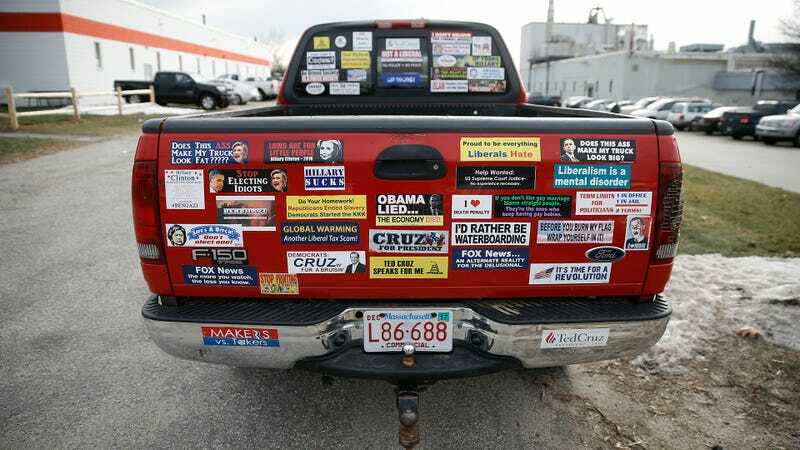 Bumper stickers might be universally terrible, but which one is the most truly and extraordinarily bad? All of your stories are welcome, but pics are encouraged.